“I was a pretty Persian rug, an exotic find, so people invited me to things” – Farmanfarmaian Monir on her popularity in post-war American artists’ circles. Persian Art Exhibit at Guggenheim Museum — Persian artist Monir Farmanfarmaian, now over 90 years old, is celebrating a milestone in her life and artistic career: Her work is on view at the Guggenheim Museum through June 3rd, marking her first comprehensive solo exhibition in the United States. 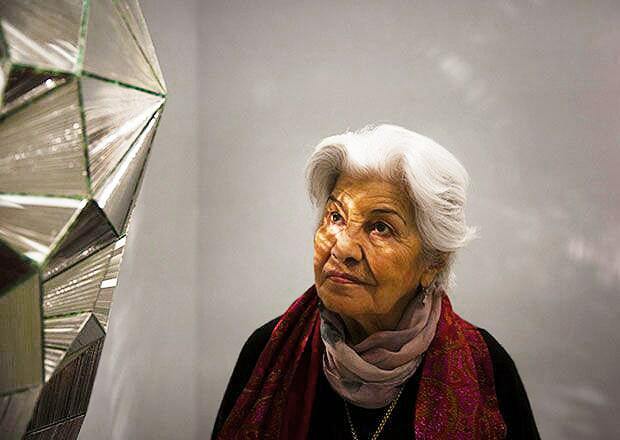 Persian Artist Monir Farmanfarmaian inspects the installation of one of her mirrored artworks at the Guggenhim Museum in NYC. 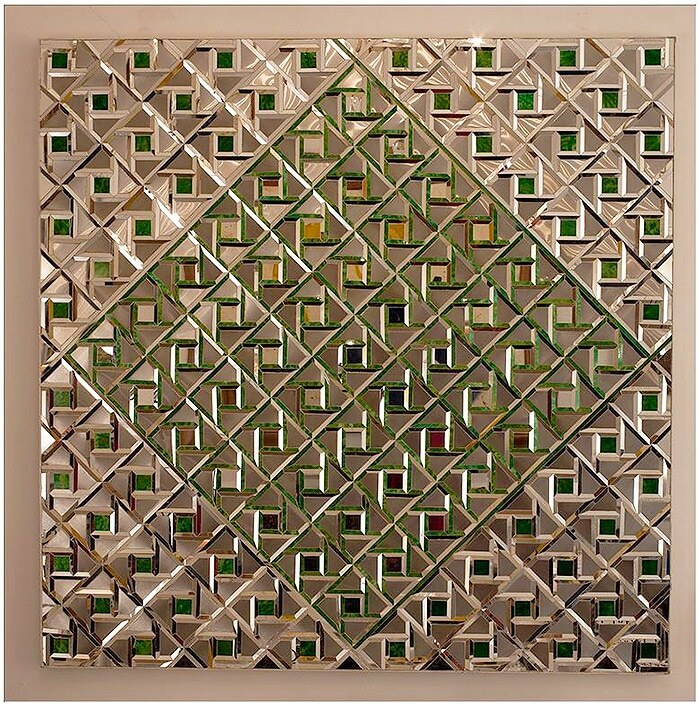 Persian artist Monir Farmanfarmaian was born in Qazvin, Iran, in 1924. She attended the Fine Arts College of Tehran before moving to New York City in 1945, to continue her studies at Cornell University and Parsons School of Design. Early in her career, she worked as a graphic designer and illustrator at such New York institutions as Vogue Magazine. During her time in New York, she met and befriended many high-profile post-war artists such as Willem de Kooning, Andy Warhol, and Barnett Newman. 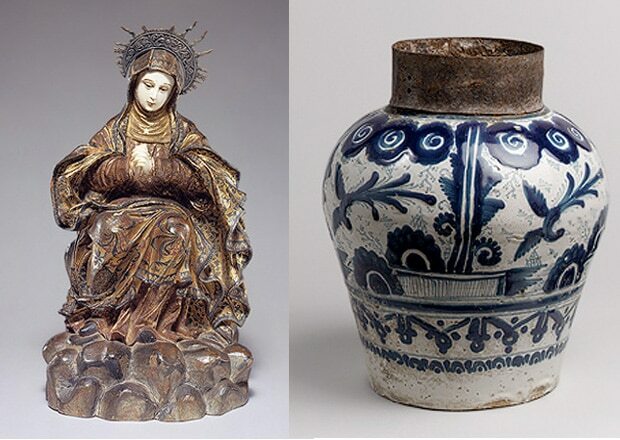 Although she spent much of her time in New York immersed in the world of abstract-expressionism and Pop Art, her work, which takes the form of mirrored sculptures and drawings, remained uniquely rooted in Middle Eastern artistic tradition, with an emphasis on repeating pattern and geometry, rather than figurative subjects. In 1957, Farmanfarmaian moved back to Iran, and began a journey across the country which would further develop her artistic style. 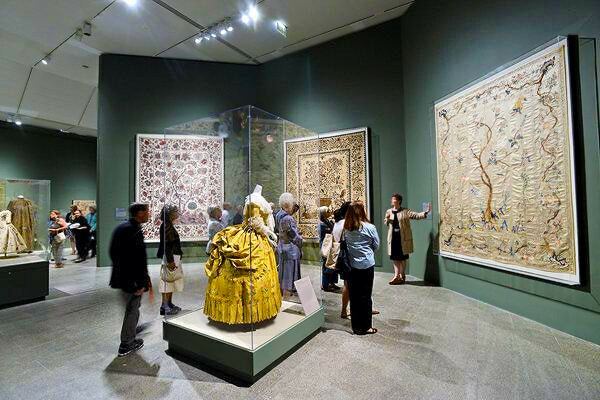 She met with craftspeople and Persian art makers from all different fields, including indigenous jewelry and clothing makers, traditional Persian rug weavers, as well as coffee-house painters. 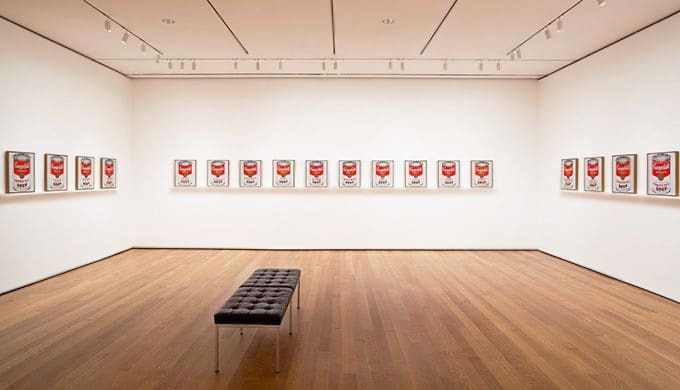 During this time period, she created a strong body of work that garnered her praise and exhibitions both in Iran, Europe, and the United States. In 1979, the artist fled the turmoil of the Islamic Revolution and returned to New York, where she would remain for the next 26 years. 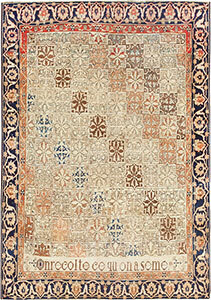 While in America, Farmanfarmaian continued working with sculpture and drawing, but also created textile and carpet designs. She finally returned to Tehran in 2004, where she has continued to live, working with some of the same traditional artists she studied under in the 1970’s. This art and design blog about Persian Art and Artist Monir Farmanfarmaian was published by Nazmiyal Antique Rug Gallery in NYC.